In May, I decided to ditch my old Instagram and start fresh. Read the full story why here but long story short- I wanted to combine my personal, business and blog account for one real-life look at my life. My real story- both highlight reel and real life reel. Since then I have really felt the Yes, Plz community strengthen and grow. It really makes my heart so happy! So happy that I decided to share my Instagram Hacks with you guys! 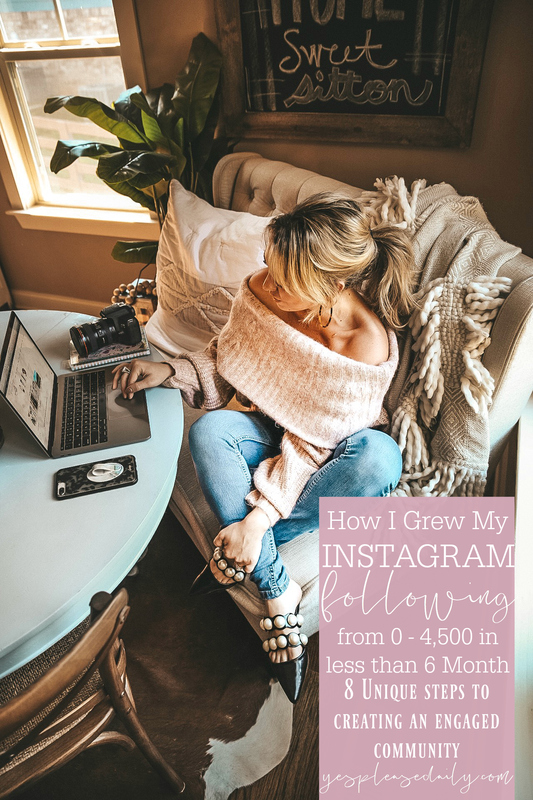 During this time, I have gotten many questions and inquiries about creating and growing your Instagram community. I thought what a better way to show you guys how I’ve grown my Yes, Plz community so far by sharing my little Instagram hacks and walking you through the steps of mastering Instagram. And no, these aren’t your everyday hacks of ‘Be Yourself’ or ‘Stay Consistent’. 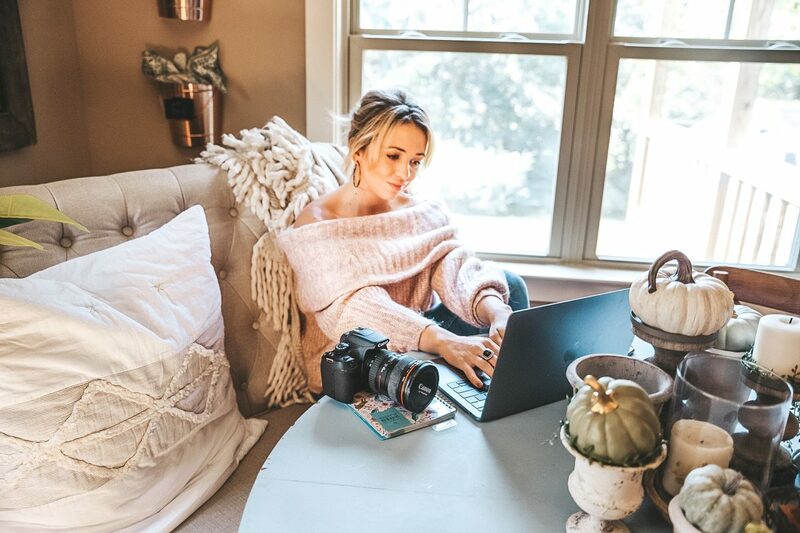 Yes, those things are true but this is a detailed look at EXACTLY what I do for Instagram, for both myself and many businesses that I run social media for. So like any form of success, it all starts with a plan! Really, in this case, a plan before a plan. Maybe you already have an Instagram account or you’re looking to start fresh, it doesn’t matter. You need to step back and think about the brand. Are you the brand? Are you posting about a brand? What is the goal of your Instagram? What do you want to accomplish? For me, I want to share easy, practical and attainable ways to live a happier life. The life you dream of, pin on pinterest, screenshot on Instagram and make that everyday accessible. When looking at my brand, I think of myself and ways that I can convey real-life lessons, experiences, and tricks to you guys through a fun and upbeat manner. A medium size agenda, this is mine. First, I look at the month calendar section of my agenda (usually a few weeks before the month begins). I make note of any holidays, dates or events I need to post about. I keep a running note of post ideas in my ‘Notes’ app on my phone. I then fill in the days with posts. I then use my notebook to keep a list of upcoming posts and what I need to shoot them (outfits, props, where I want to shoot, etc.). Keeping everything organized is the only way I can keep up. There’s actually a few different ways I shoot. Like I mentioned above, I really like to offer a real-life look into my life. 90% of my Instagrams are iPhone photos shot by myself or RJ. This is my real life and I think you guys appreciate that. That being said- sometimes I’m working for a brand and need a higher quality photo. These are usually styled shoots that happen with my tripod (full blog post about taking my own photos here) or with a photographer. No matter how I’m capturing content, I like to be ahead of the game. I use the UNUM app to plan all my posts and anytime I have photos I like, I populate them in the planning feed. This helps me stay organized on which photos I want to Instagram. I like to have at least 9 unpublished photos in my UNUM app at all times. This helps me always have something to Instagram even if I’m slammed at work or needing something to post, etc. Which leads me to my next hack.. I think this has been a key component in my community growth this year and yet probably also my hardest thing to keep up with. When I really started to see my account grow and reach more people, it was when I was posting twice a day at the same times every day. I know that seems simple enough but it actually has proven to be trickier than expected. Some days I don’t feel like posting or can’t think of a caption or just feel bleh. I saw this quote that went something along the lines of ‘Show Up Every Day For a Year and See Where it Takes You.‘. So that’s what I’ve been trying to do. Ok, I promised this wasn’t going to be your typical ‘be yourself, blah blah bullsh*t’ but it actually is true and needs to be included! Be yourself and post what you want to post! Looking back at my old Instagram account, I can see where I was trying so hard to be what I thought a ‘blogger should be’ and not actually posting what was relevant to my story. I always felt like I didn’t really belong and now I can see why- I was trying to be something I wasn’t. Don’t just post a random photo because you like it- give it a meaning, a purpose, make it part of a larger story. I like to follow these rules when posting: 75% of my posts are informative, entertaining, teaching or selling. The other 25% I save for personal posts: pictures with RJ, photos of the dogs, etc. I follow this 75/25 ratio because while people like to see real life, I feel that the bulk of posts should serve a greater purpose, that’s what brings people back for more or brings in new readers. Maybe this isn’t the exact formula that works for you, but having some sort of plan will help keep things consistent and on brand. If you want to do something different, I would say stick to it 99% of the time. For example: some girls I see on Instagram are all beautiful photos and little captions, some are all punny captions, some are all random photos with detailed captions. This works for some but not me. I think I could break this whole category down into a blog post, would that be helpful for yall? This is the hack I hate the most. Not because I hate engaging, I love it! But because it’s every girl’s go to when you ask someone how they grew their account. And being honest, I used to not believe it. I asked my friend Lauren how she grew so quickly and at first, I was hesitant to believe it was just engaging, I thought surely there was more! But I was wrong! Instagram likes sharing people who like Instagram. Spend time engaging with those who engage with you, girls in similar niches, people in your community, on the Explore page. Look back and see what works, what doesn’t. See what your audience responds well to and do more of it! Don’t stop posting what you want to post but just add more of your ‘most popular’ posts to your schedule. At the end of the day, blogging is hard. 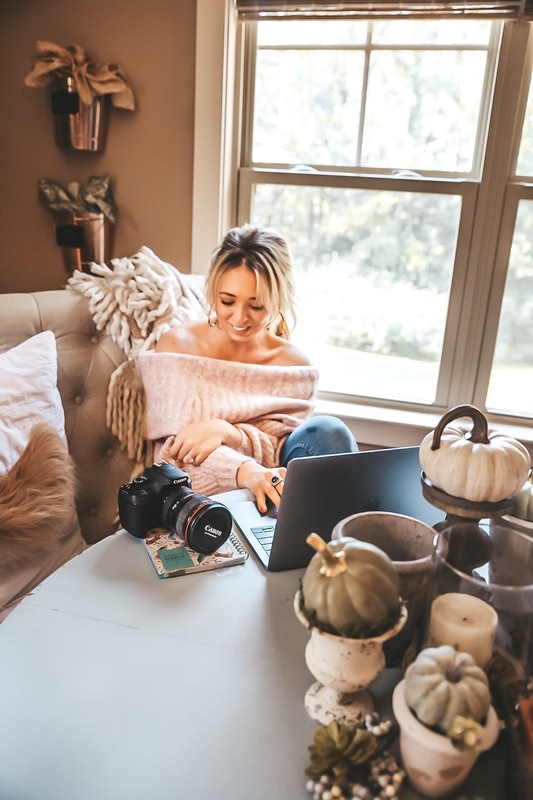 If you are like 90% of us bloggers out there, this isn’t your full-time job and that means this little (and by little I mean very time cosuming) hobby/extra job/dream job/whatever you want to call it will eventually get in the way of real life. Those days, you have to really remember why you want to do it. Why I wake up at 5 am, write before work, shoot on the weekends, stay up until 11 pm, run around like a crazy person? FOR YOU. I love being able to help, inspire, make life easier for just one person. I love finding ways to make your day a little better and seeing that happen, makes it all worth it! Next Post One Skillet Sausage and Rice Dinner – Easy and Delicious!